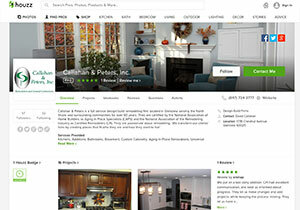 Get inspired with Bertch’s Kitchen Designs! Then call us to Remodel your Kitchen! Different cabinet surfaces require different cleaning techniques. Whether your cabinets are stained, painted or laminate, they all need special attention. Here are a few easy tips and cleaning recipes for keeping them looking their best. 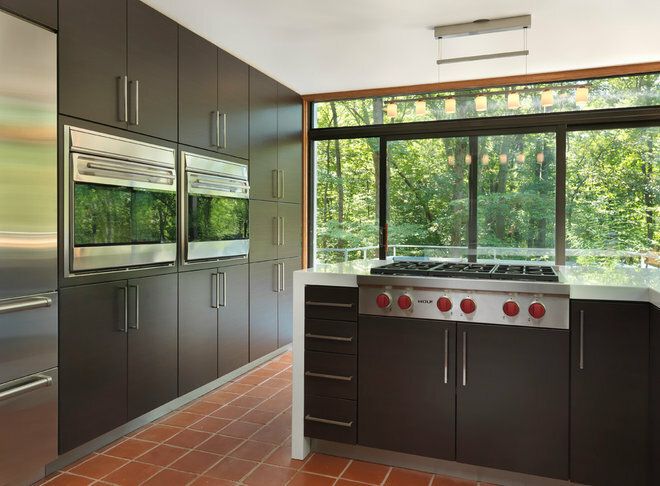 Stained wood cabinets. 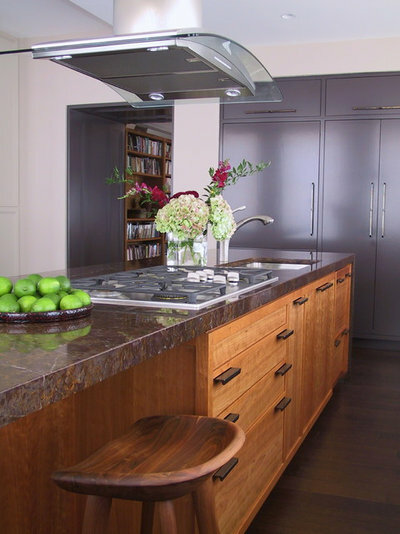 You will want to thoroughly clean and oil your stained wood cabinets once or twice a year. Clean them with a mixture of seven-eighths distilled white vinegar and one-eighth rubbing alcohol, with a few drops of dish soap added. Wipe the cabinets down with this cleaning mixture using a microfiber cloth. Next, rinse the cabinets completely with warm water then use a furniture oil that contains beeswax to seal the finish. This process will keep your cabinets looking new for a long time. 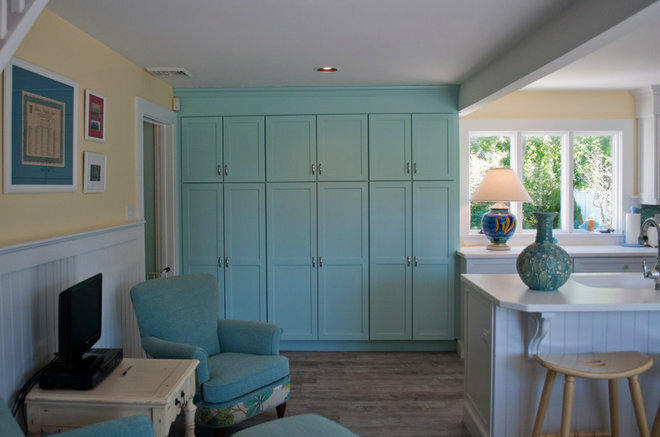 Painted cabinets. Painted cabinets need to be cleaned with a gentle cleaner, rinsed and dried. If you use a harsh cleaner on the painted surface, the cleaner can actually remove the paint. Instead, mix up a DIY cleaner of distilled white vinegar and a few drops of dish soap, but this time leave out the rubbing alcohol. Try putting this mixture into a spray bottle to better control the amount. After spraying, wipe the cabinets down with a damp microfiber cloth. Finally, use another clean microfiber cloth to dry. Black cabinets. 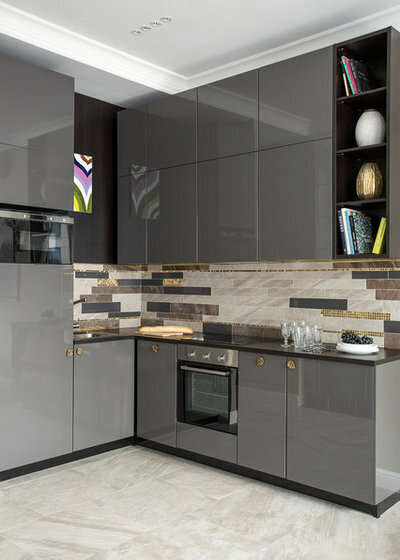 Whether painted black or stained ebony, black cabinets create a chic look in a kitchen, but they do take some extra care. Every water and grease spot will show up on these cabinets as will an accumulation of dust. You should get into a routine of wiping them down at least once a week with a damp microfiber cloth. It will only take a few minutes but doing this will prevent nasty buildup. White cabinets. 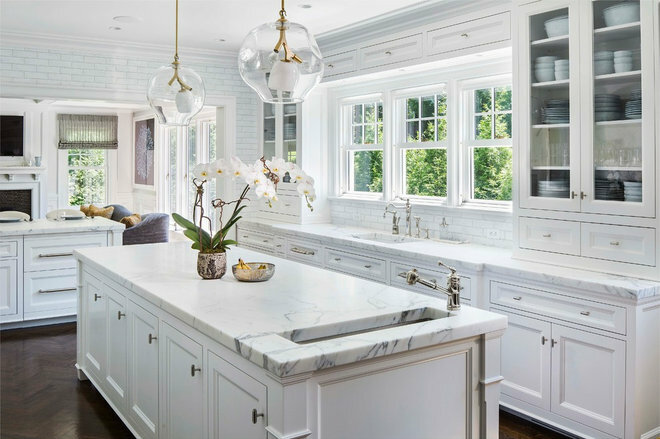 White cabinets provide a fresh, clean look to many a kitchen, but they also show every fingerprint and scrape. Just like black cabinets, white ones should be wiped at least once a week with a damp microfiber cloth. You should also have a small bottle of matching white paint on hand to fix chips and scrapes that are bound to show up with white cabinets. 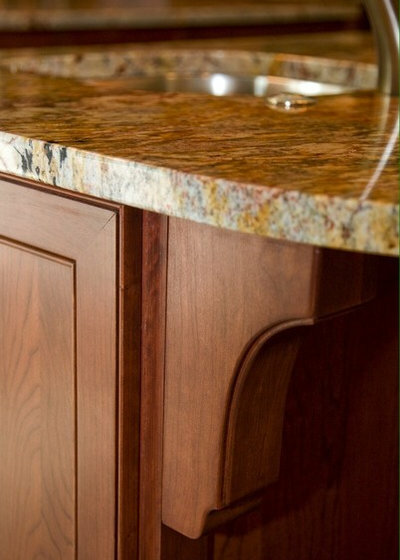 Laminate cabinets. 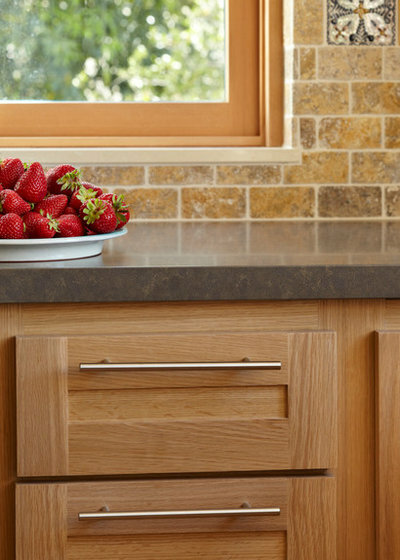 Laminate cabinets are the easiest to keep clean because their surface doesn’t have porous wood grains that absorb dirt and grease. A damp microfiber cloth and minimal elbow grease once a week usually does the trick. For deeper cleaning, the same DIY cleaner for stained wood cabinets will do the trick. Vinegar is a natural acid and will work to lift off stuck-on food. The alcohol cuts through grease and oil. And the few drops of dish soap help to create a mild lather for easier cleaning. Get a handle on it. Areas around handles can get very sticky. The oils from your hands can mix with the finish on your wood and break down the finish. You can prevent this from happening by wiping the areas around the handles with a damp microfiber cloth. If you get that sticky buildup, you can wash it off with a gentle hand soap mixed with some rubbing alcohol. To really get at hidden grime, it is recommended that you remove your pulls and knobs at least once a year and clean the fronts of your cabinets before putting handles back on. Nooks and crannies. 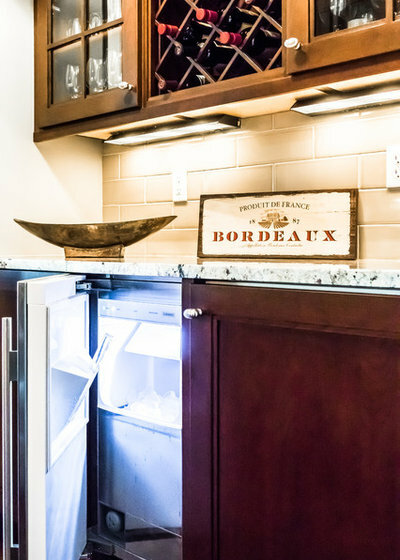 Cabinets with nooks and crannies need extra care to remove dirt, dust and buildup in those tight places. You can use a microfiber cloth wrapped around a table knife to get into flat areas that need to be cleaned. While a pointed knife will also work, just be careful it doesn’t penetrate the cloth and scratch or nick the wood. A toothpick will also work for tight corners and small crevices. Around the stove. Cabinets around your stove can get spattered with grease and oil. You can clean them quickly with a spray bottle of vodka and a few drops of Castile soap. The vodka will work to cut through the grease and oil, while the soap will lift it away. Make sure to rinse the cabinets after with a damp microfiber cloth. Quality is a concept that is considered so important the International Organization for Standardization developed a family totally devoted to quality assurance, ISO 9000. Although each standard in the family clearly defines terms and systems, quality assurance isn’t always so black and white – particularly in the remodeling world. Callahan & Peters has a weekly production meeting the whole company attends where each project under construction is discussed. A project list review includes: schedule, issues and opportunities, purchasing, client demeanor, additional work requests/change orders, budget, receivables, mid-construction/end-of-project gift and marketing potential.